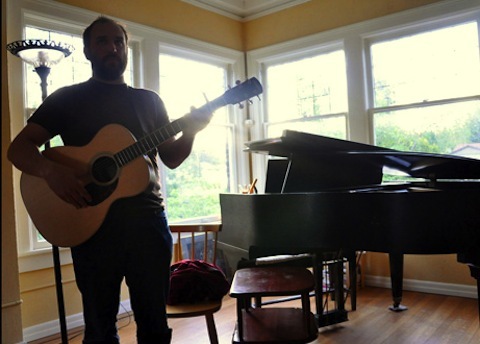 David Bazan will be playing more Living Room shows in May and June. We are looking for people to host shows on the dates listed below. Please read everything here and get in touch as soon as possible if you would like to host a show in one of these cities. We’ll go through all the emails and get back in touch with you as soon as possible. 1. You have a house or loft space that can comfortably and safely host 40-60 people. A place with a big living room, finished basement or other interior space would be ideal. Sorry, we can’t do these shows outside. There needs to be enough parking nearby and your neighbors should be cool. It would be a huge bummer if someone called the cops because of all the extra cars and people coming to your house. You should probably not do this if you live in a small apartment with a bunch of uptight neighbors or a cranky landlord. 7. The shows will not be promoted or advertised anywhere except David’s websites and word-of-mouth. 8. There will be no opening acts on the living room shows.